https://www.youtube.com/watch?v=DyV0OfU3-FU - This is a great video showing the history of money. https://www.youtube.com/watch?v=1vg0eiUim88 - This is a video I made about monetary history and the Federal Reserve. http://www.usdebtclock.org/ - This is our national debt. 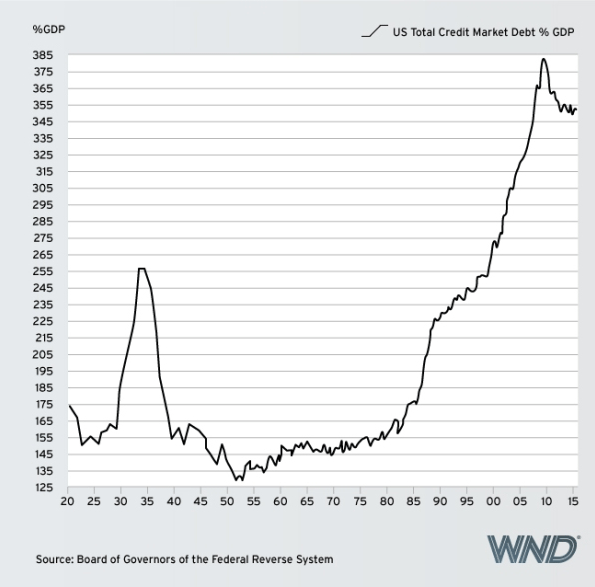 The only other time our national debt has been more than our GDP is during the Second World War. This is our total debt. http://goldsilverworlds.com/wp-content/uploads/2014/01/US_monetary_base_since_1918.gif - This is our monetary base since 1918 (paper dollars in circulation plus bank reserves). 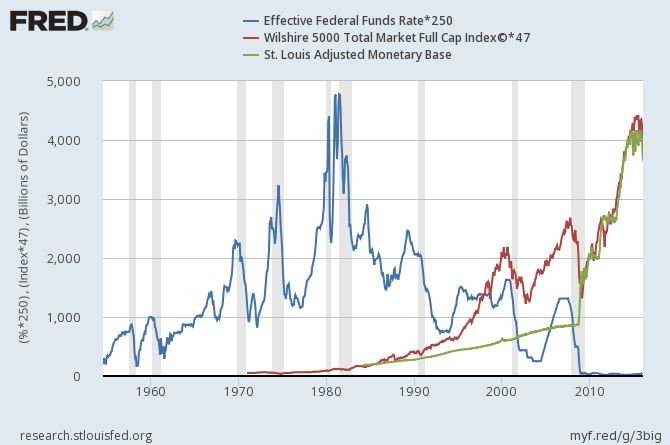 http://i.stack.imgur.com/JNI9T.png - This is our monetary base and the Wilshire 5000 (the stock market). You can see that the Fed is clearly propping up the stock market by expanding the currency supply. https://www.youtube.com/watch?v=hcHmxQ-fnpc – This is an excellent video showing that for every $100 you have in the bank, they can only pay out 6 cents. https://www.youtube.com/watch?v=iFDe5kUUyT0 - Guaranteed to be one of the most insightful films you will ever watch. https://www.youtube.com/watch?v=OQWMd_NPSBA - A great film about the dangers of socialism and the merits of capitalism. https://www.youtube.com/watch?v=wkivn_3zn5I - The money speech. https://www.youtube.com/watch?v=K38khtCrN-4 - Here is a video of ex-chairman of the Federal Reserve, Alan Greenspan, telling you he answers to no one. https://en.wikipedia.org/wiki/Liberty_dollar_%28private_currency%29 - This is a horrifying account of what happened to man who provided a free market alternative to the Federal Reserve Note. https://upload.wikimedia.org/wikipedia/commons/6/64/RunningtheMachine-LincAdmin.jpg - This is a political cartoon from 1865 that is disturbingly relevant today.